Network infrastructures are severely limiting the potential for Big Data Strategy. Network speeds, latency and packet loss are slowing down the time it takes to transport valuable large volumes of data, meaning that data is at risk of being too old or, worse, of no practical use, by the time it arrives. In an ideal world, data would be extracted and delivered for analysis in the blink of an eye. The current state of affairs realistically is eye-wateringly inefficient and unprofitable vs. the massive investment being ploughed in. All because nobody has factored in how ‘speed’ of transfers will directly impact on the value of Big Data, the source of the knowledge to come. It feels like everyone is treating this like a dirty little secret to be brushed under the carpet. Why? Well, because there is a belief that data transfer technology isn’t developed enough to deliver faster implementation of ever-growing volumes of differing data types. This is a misconception that will cost businesses serious amounts of money if they are not keeping up to date with how technology is changing at a rapid rate. Controversially perhaps, I believe that IT departments are failing Big Data strategy teams by not doing something as simple as being aware of the new technology solutions that would mean big data plans are supported by existing WAN networks. 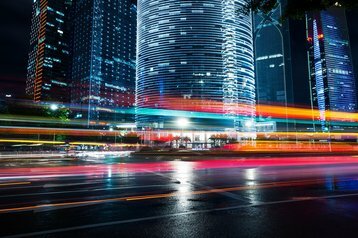 Performing efficiently, ensuring super-fast data transfer speeds from source to other key areas of the business across distance is not a future thing, it is here – now. Gartner’s Hype Cycles talk about Transformational Tech being a thing of the future, but more often that is about speed of adoption rather than availability. The good news for Big Data transfers is that technology is here to grease the flow of your Big Data and will provide the difference between rising to the top, or having to sprint late in the long haul race to try to catch up. ONE – You must, must, must consider everything about the data’s journey when considering investment in infrastructure. This means where it’s coming from, when it’s coming in, how much there is and… most importantly…how long it’s going to take. You need to know how long it’s going to be valuable before it’s out of date so that you can ensure you build your infrastructure to support your business and the value you are looking to extract. TWO – All business stakeholders that stand to benefit from Big Data need to talk regularly. The CEO, CFO, CIO, CDO, CMO and CCO will all be able to use insight that the data uncovers but you need to understand how quickly data will need to flow to be able to deliver them the value. Data teams also need to be talking regularly to understand changing objectives, as insight is unveiled and be able to act swiftly. Business Data requirements are evolving rapidly so IT infrastructure needs to be able to cope with these changes and be able to adapt as these requirements flex. FOUR – Never overlook how efficient your current infrastructure could be. In the case of trying to inject speed in to your WAN, make sure that what you have is performing efficiently and to its maximum capacity before you invest in bigger pipes or other upgrades. It has been documented that you are going to collectively spend billions to support your Big Data strategy by 2019, so you better make sure it works and, what’s more, is giving you back maximum return on your not insignificant investment. Scary though it sounds, there are products in the market that use machine intelligence and Artificial Intelligence that optimize the performance of your existing technology. Intelligent in their own right, they do not require human beings to tell them what to do; they simply just deliver the results. The time to intelligence is closer than you may think – doing some research for next purchase could avoid adding spiralling costs of trying to implement a Big Data Strategy that produces very little increased benefit.